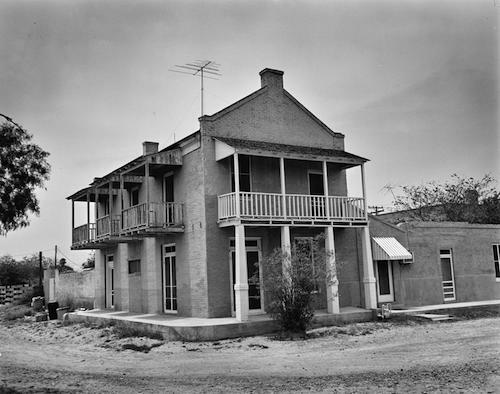 Founded by Henry Clay Davis (1814-1866) in the mid-19th century, the earliest settled section of Rio Grande City is one of the state’s most architecturally significant communities along the Rio Grande. Tourists and businesses associated with NAFTA have in recent years begun to draw attention to this once almost unknown community. Despite the growth in awareness, the city remains challenged economically and many of the historic properties are neglected and underutilized. La Borde / Fort Ringgold Hotel, 601 East Main Street. 30 June 1973. Texas Historical Commission. Some of the city’s most noted buildings include the Samuel Julian Stewart House (c.1850), known for its combination of Spanish and Mexican architectural influences; the LaBorde Hotel (1877), featuring a combination of Spanish and French influenced architectural traditions; and the Silverio de la Pena Building (1886), the work of master mason Heinrich Portscheller (1840-1915). Many of these buildings are part of a historic district being proposed for listing in the National Register of Historic Places. 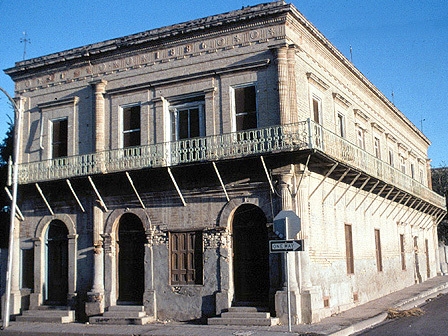 Jacob Guerra House, northwest corner Water and Corpus streets. 18 May 1971. Texas Historical Commission. 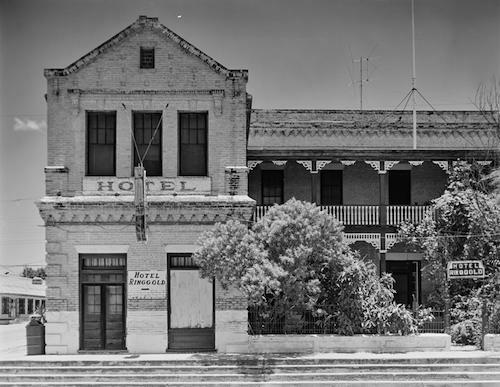 UPDATE: The Rio Grande City Downtown Historic District was added to the National Register of Historic Places in 2005. The district contains 84 contributing buildings, 2 contributing sites and 2 contributing structures. The district was listed under National Register criterion A and C with a period of significance from c. 1840 to 1940. READING SUGGESTION: Master Builder of the Lower Rio Grande: Heinrich Portscheller by W. Eugene George (2016).